Traveloscopy Travelblog: Dazzling paint schemes on cruise ships, not the latest fad. Dazzling paint schemes on cruise ships, not the latest fad. 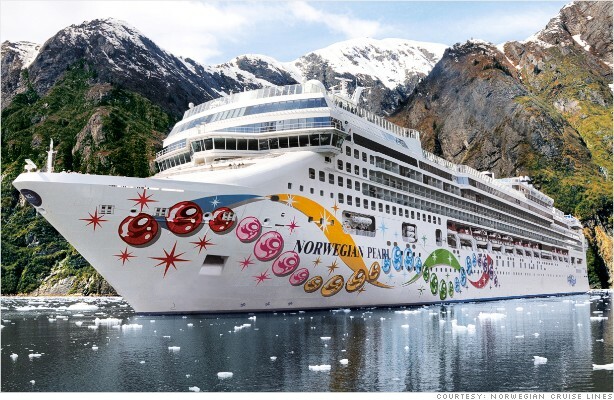 Dazzling paint schemes on cruise ships, not the latest fad. Norwegian Pearl in her party paint scheme. Sometimes when we look at the outrageous paint schemes on some of the world’s cruise ships, we think this is some modern phenomenon. 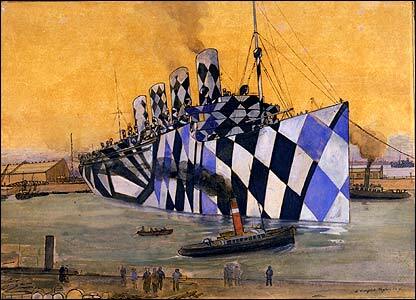 But historians at the Australian National Maritime Museum remind us that British artist Norman Wilkinson was perhaps the first to suggest that “dazzling” paintwork on merchant and warships could confuse German U-Boats and make the ships more difficult targets. 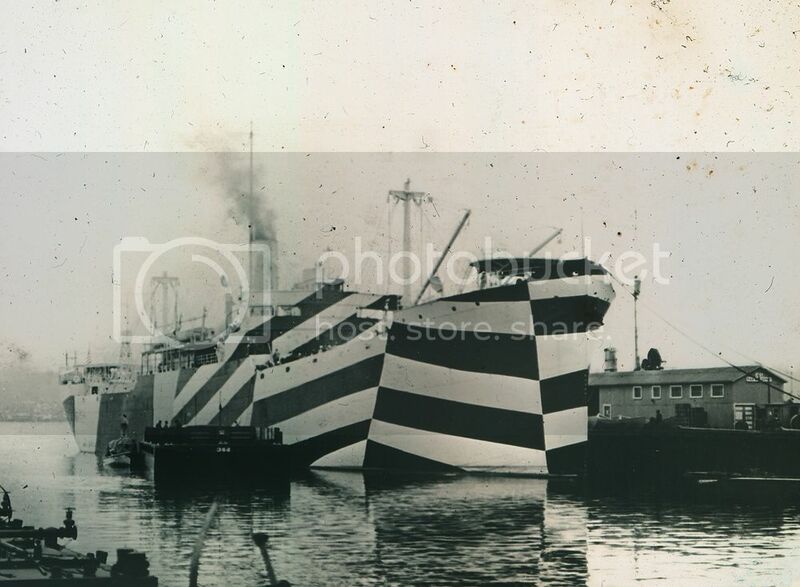 Photograph of the USS West Mahomet in so-called 'zebra' dazzle camouflage, 1918. 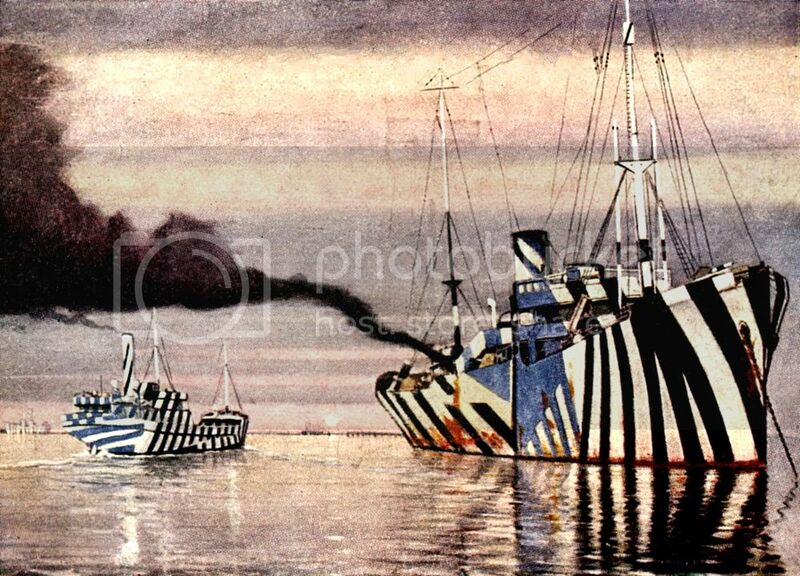 While the theory of dazzle paint was never really proven conclusively, the Navy obviously thought it couldn’t hurt. Especially when in the closing stages of WW1, eight ships were falling prey to the submarine menace every day. This period of time produced some of the most startling steel canvases and if nothing else, it was a remarkable enterprise by the creative artist. Some 4000 vessels were painted in these lurid patterns. Brand new (2013) USS Freedom in 21st century dazzle paint. Even today, some state-of-the-art warships employ crazy paint schemes to confuse the enemy – and delight shipspotters.